Mecanoo wins MLK Library Washington D.C.
D.C. Mayor Vincent Gray announced today the design team Mecanoo and Martinez + Johnson is chosen to revitalize the Martin Luther King Jr. Memorial Library. The MLK Library, completed in 1972, is designed by Mies van der Rohe and honors the legacy of Dr. Martin Luther King Jr. 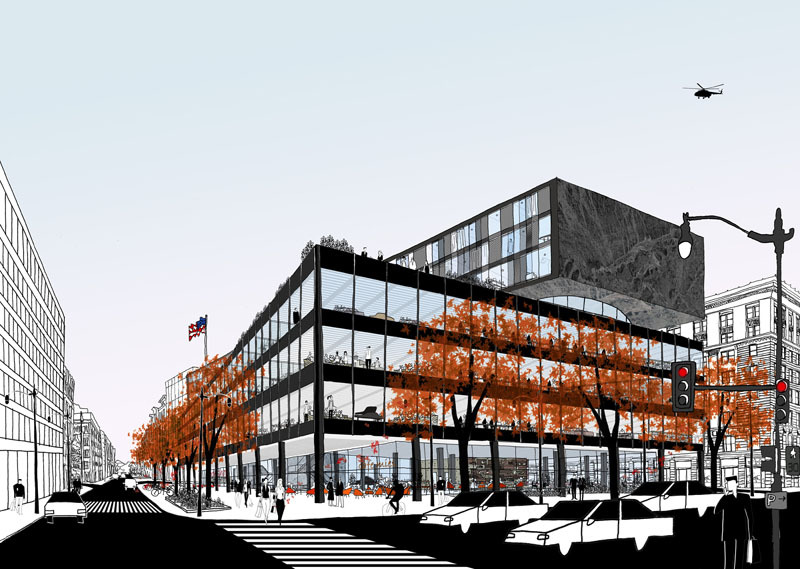 The citys aim for their Central Public Library project is to deliver a next generation library building that embraces Washington DCs contemporary culture and changing needs. The potentially $150 million project will redesign the 250,000 square foot interior of the 1970s library to modernize the building. The MLK Library is the hub of the Public Library system in Washington, D.C. It's the only library designed by modernist Ludwig Mies van der Rohe, and opened three years after his death in 1972. The teams were asked to submit two ideas: what they would do if it was a straight library renovation, as well as possibilities for a mixed-use building with additional floors above the existing building. Leading the design effort will be the Netherlands based firm Mecanoo. M+J will share responsibilities with Mecanoo throughout the project. This Washington based Martinez+Johnson has extensive experience with historic renovation projects. The design team will be led by Francine Houben, creative director/ architect at Mecanoo who just delivered the Library of Birmingham, the largest in Europe.